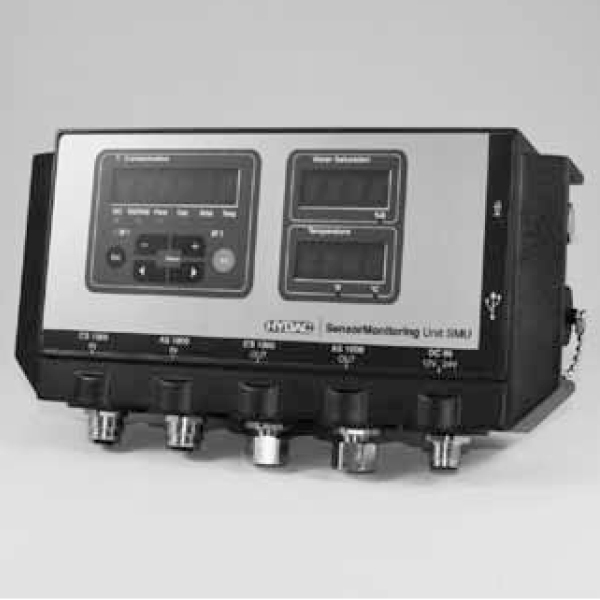 The Sensor Monitoring Unit SMU1200 is a display unit for HYDAC fluid sensors. Therefore, it serves to display and store measured data. A simple installation parallel to the customer system. It consists of an HYDAC Sensor Interface HSI for SMU1200, transfer of the sensor’s own analog and switching outputs. A simple installation using the magnetic holder or top hat rails. A high protection class IP67. Therefore, the installation in a switch cabinet is not necessary. A plug & work unit including the 5m connection cable required for direct connection of the sensors. So, the sensor connections happen via M12x1 male connectors, and there is no programming necessary. The display of the measured data on a large display. The storage of data in the SMU with a date and time stamp. The possibility to read the measured values from the standard USB memory stick supplied, via the USB master port. Also, a simple data processing and data evaluation using MS-Excel or Hydac FluidMonitoring Software FluMoS. (The FluMoS ‘Light Version’ is available as freeware at www.hydac.com). The program restarts independently once restoration of the voltage. So, there is no loss of measured data.